Once a reckless rebel and now a respected role model, Prince Harry is one of the world's most popular royals and the force behind giving the British royal family a 21st-century makeover. 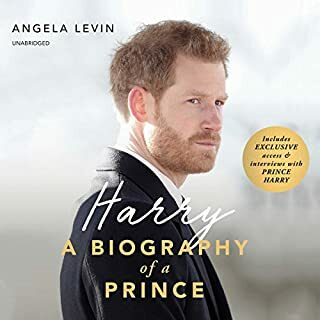 This insightful new audio biography is a three-dimensional look at what Harry is really like as a person, both on and off royal duty, and unwraps the real man behind the camera and his own perceptive insights. It delves into his troubled childhood, his rebellious teenage years, and the key defining moments that have enabled him to face his demons and use this experience to help others. Maybe the book was written way too soon? On the eve of his wedding comes the most intimate and informative portrait yet of Prince Harry, from royal expert Katie Nicholl, author of the best-selling William and Harry and Kate. From his earliest public appearances as a mischievous redheaded toddler, Prince Harry has captured the hearts of royal enthusiasts around the world. In Harry, Britain's leading expert on the young royals offers an in-depth look at the wayward prince turned national treasure. Nicholl sheds new light on growing up royal, Harry's relationship with his mother, his troubled youth and early adulthood, and how his military service in Afghanistan inspired him to create his legacy, the Invictus Games. 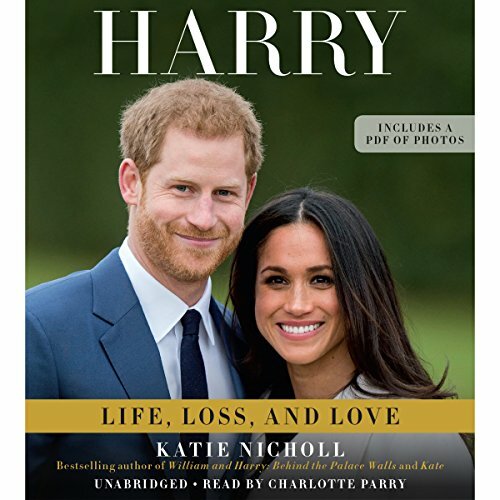 Harry: Life, Loss, and Love features interviews with friends, those who have worked with the prince, and former palace aides. 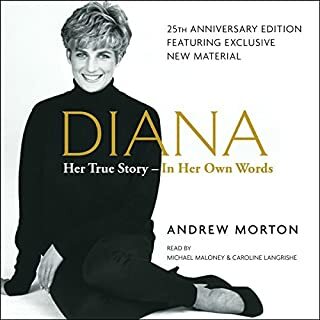 Nicholl explores Harry's relationship with his family, in particular the Queen, his father, his stepmother, and his brother and reveals his secret "second family" in Botswana. She uncovers new information about his former girlfriends and chronicles his romance and engagement to American actress Meghan Markle. Harry is a compelling portrait of one of the most popular members of the royal family and reveals the inside story of the most intriguing royal romance in a decade. 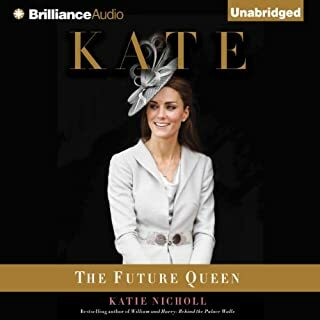 I was pretty disappointed with this book, especially since I had enjoyed this author's previous biography of Kate. 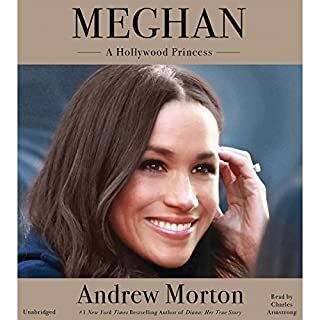 I suppose I shouldn't be surprised that this book has very little of Meghan in it, since it is, after all, called "Harry." if you're interested in just Harry's life story, this might be fine for you. 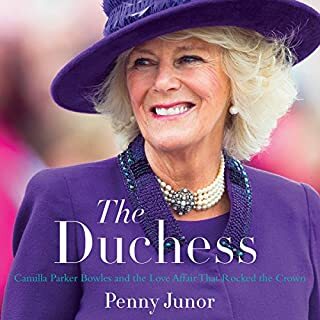 But I wanted as many accounts of the royal romance ahead of the royal wedding as I could find, and this doesn't do it. This is 90% Harry, 10% Meghan. That could be forgiven if Nicholl's tone were less biased. She speaks adoringly of Harry and is only blandly accepting of Meghan. Compared with her fawning, rose-tinted biography of Kate, I'm pretty sure there's some favoritism going on here. In particular, Nicholl seems critical of Harry's famous press release deploring the "racist and sexist abuse" to which Meghan had been subjected. Nicholl essentially says, "It's nice that you wanted to protect your girlfriend or whatever, but you shouldn't have because royals traditionally don't." well, no, Ms. Nicholl, but Meghan is the first person of color to marry into the British Royal Family, so anyone can see why Harry would be particularly angry about the abuse she received. 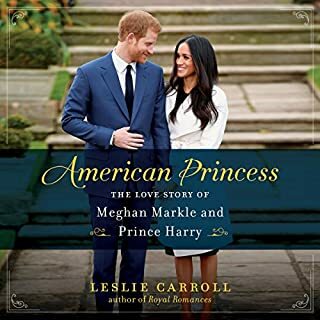 Nicholl's inability to recognize this is like an allergy to social realism and spoiled the small part of the book that features Meghan for me.